So sorry for the recent neglect of the blog. 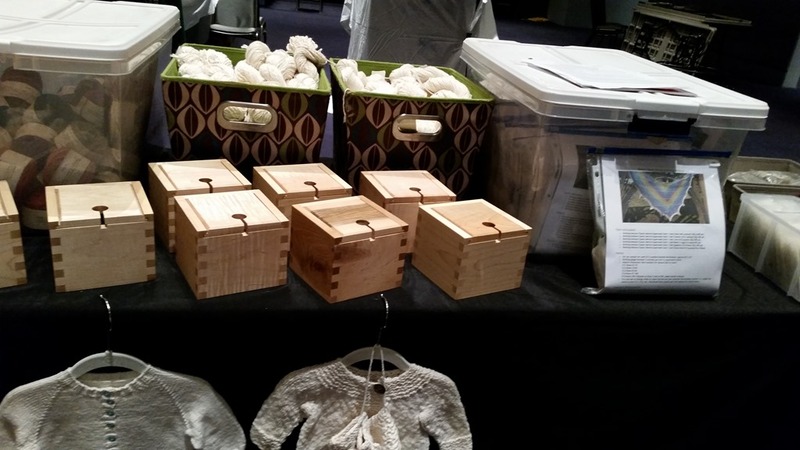 Last week was a whirlwind of driving, hauling gear, schlepping in and out of hotels and venue, and visiting with lots of knitters. In case you forget what I mean, I was in Pittsburgh for the 12th annual Knit & Crochet Festival. 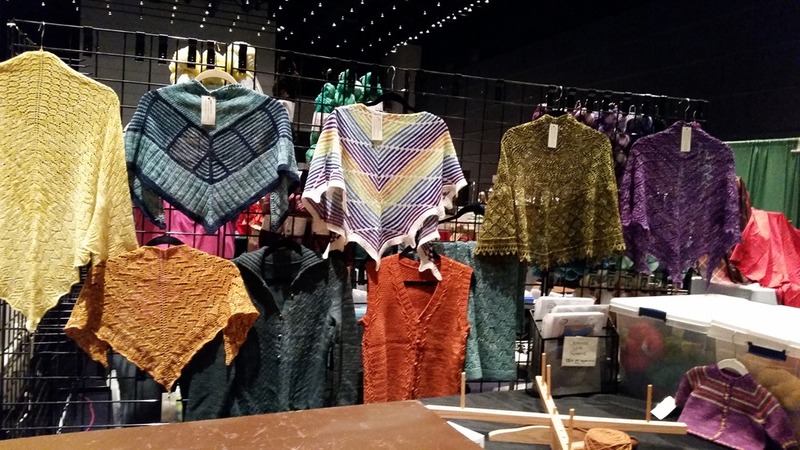 We were in the new downtown location this year; the David L. Lawrence Convention Center. It is a lovely facility and has much more space. The plans are ongoing for next year’s event with a new date of March 24-26, 2017. I took a few pictures of the booth but they weren’t too great due to lighting which I poorly planned for. Next year I think I am going to have to get some booth lighting. Anyway here a couple of the better ones. 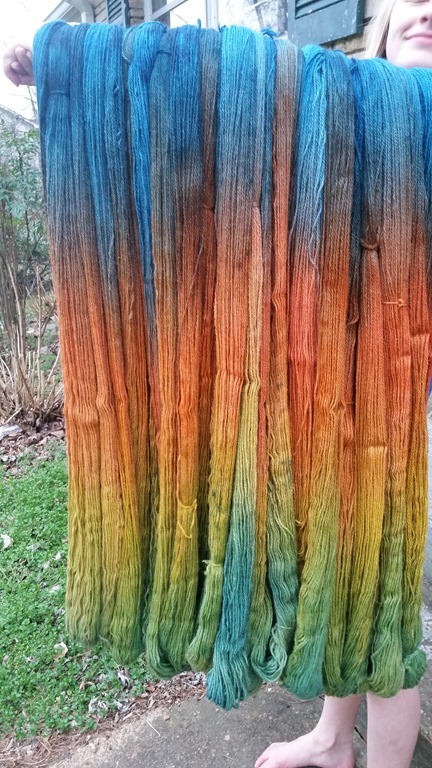 I arrived home on Monday and got right to work on a dye order for the fiber mill. 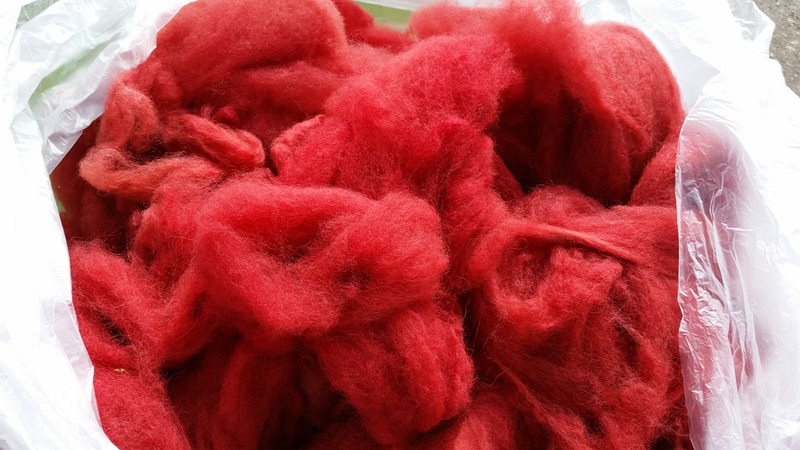 It was one bump of alpaca to be dyed Tomato Red and twenty-nine skeins of yarn to be hand painted in a color way specified in a small swatch which I was to match. 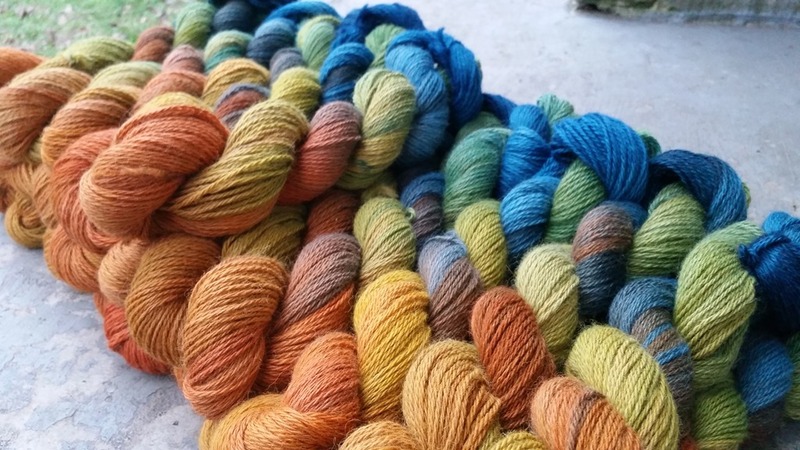 And here’s the yarn. 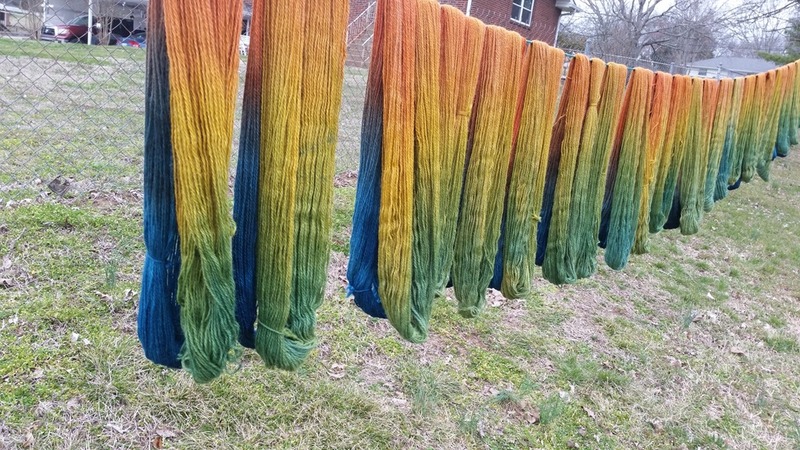 I am really happy with how this batch came out. The blue here is actually a turquoise and the colors are all richer and more saturated in person. 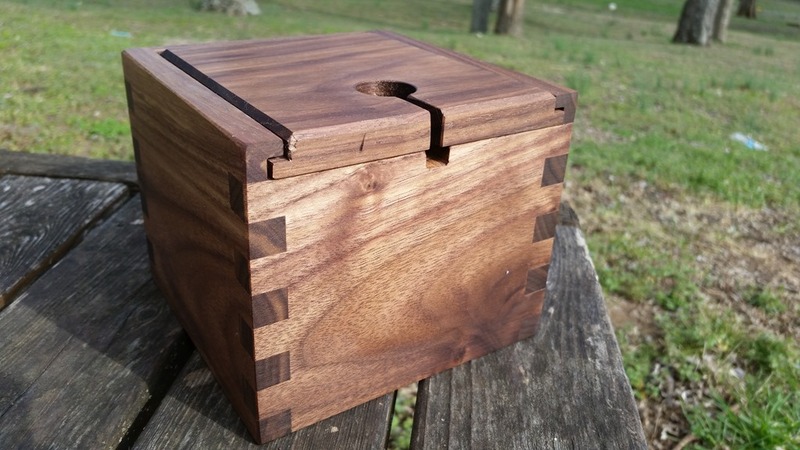 While I was in Pittsburgh, Jerry was hard at work here finishing up a batch of new Yarn Boxes in Walnut wood. I just love Walnut! Isn’t it lovely? I should have the finish on them and have them on the website by early next week. 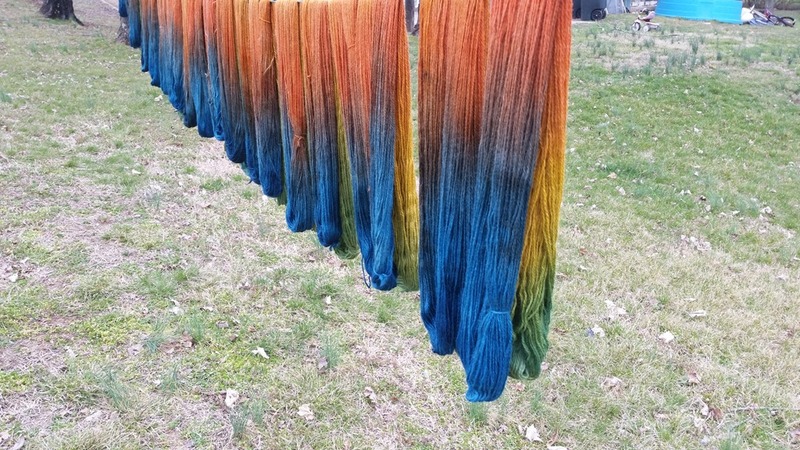 Here’s a preview shot I took on Tuesday when I was out working in the dye/finish studio.